30 Delicious Foods with Almost ZERO Calorie Count That’ll Kick Your Food Craving’s into Touch and Knock Your Taste Bud’s Socks Off! One of the easiest things you can do today to start ‘doing’ effective weight control is to go ahead and stock up on some of these almost Zero Calorie foods that will kill your in-between meal cravings AND satisfy your nutritional needs. IF you’re looking out for your own weight (as I always am) then this little list of fantastic snacks and are almost ZERO CAL foods sometimes called Negative Calorie Foods, with highly nutritious content and are the ideal food craving munchies. You can go right ahead and eat as much or as many of these foods as you wish since these little gems contain VERY FEW calories and EXTREMELY nutritious with vitamins, minerals and nutrients. Also notice some of these snacks are ‘Super Foods’ which makes this particular list, one of the easiest ‘swipe and deploy’ weight loss tactics you can start doing today. So here it is, my very own list of almost Zero Cal weight loss food and craving crunchers (I’ve bold my personal favs)..
Asparagus, apple, beetroots, blueberries, broccoli, cranberries, cantaloupe melon, carrots, celery, chicory, cauliflower, cucumber, dandelion, endive, garden cress, garlic (a personal favorite)..
..Green beans, honeydew melon, hot chili peppers (if you’re a fan of spicy),..
..Lemons, limes, lettuce, mango, onions, orange, grapefruit (I love the pink ones!),.. Peach, pineapple, radish, raspberries, spinach, strawberries, tomato, tangerine, turnip, watermelon, zucchini and papaya (I’m ALWAYS astonished at the health benefits of papaya)..
Plus the USDA have kindly made available three fact sheets listing the calorie count and nutritional information here..
What are you waiting for, grab some of those delicious craving crunchers to start managing your weight today. How to Curb Calorie Cravings When Food Temptations Become Irresistible.. Pure Green Coffee Bean on the Dr OZ Show – This Little Bean! 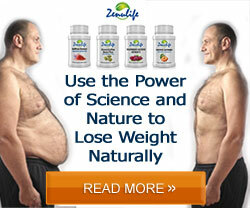 See How Natural Detox Supplements Can Help You Lose Weight Fast..
Reduce the Appearance of Fine Lines by Upto 30%..